Seeking for some additional accessories for your Bushnell Neo Ghost Golf GPS? You should not look further. The TOPGRIT customized wristband is designed for carrying your Bushnell Golf GPS unit in the smartest way - Your handheld device is now changed into a stylish smart golf GPS watch! • The GPS mount is constructed of solid polycarbonate for long lasting. • The four "claws" will hold the GPS unit within the case tightly. • Thoughtful design do not block any button, you can charge the GPS with this watchband. • Curve on the rear end to fit your arm for cozy wearing. • The dual silicone sports watch band is very smooth, the strap is adjustable from 2.15 to 7.85 inches. • Snap-on design, easy to clip on and off. 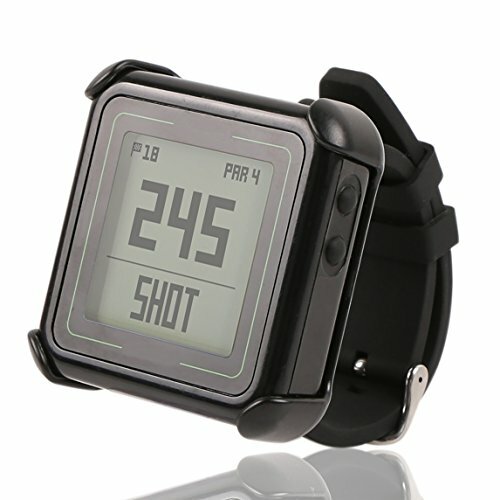 An golf watch in the market is costing 100+ dollars, If you have the Bushnell Neo Ghost Golf GPS already, TOPGRIT wristband can be a cost saving investment to level up your golf gear. Order now to take advantage of our 12-month quality warranty against manufacture defects. If you have any questions about this product by TopGrit, contact us by completing and submitting the form below. If you are looking for a specif part number, please include it with your message.